Can Print Media Survive the Internet? Doomsayers are announcing that print media will soon become a thing of the past. With the much-publicized closure of a few high-profile print magazines, some will find it easy to believe this bold statement. These naysayers will tell anyone within earshot that the Internet has completely overtaken the print industry. One prominent travel blogger even predicted that by the year 2020 print magazines would cease to exist! Naturally, as a print media freelance writer I feel more than a little concern when I hear these gloomy predictions. Are these brash statements the gospel truth? To check the facts, I hunkered down and did some research - lots of research! I studied the state of the print media industry and the travel print media specifically. I spent three long days to find the truth and answer the question: are print media doomed? Or, is this simply an exaggeration? What I found was both enlightening and encouraging! First, let’s look at the state of the American print media market. There are 7,293 consumer magazines and periodicals currently on the U.S. market (from MagnetData.net). The chart below shows the number of U.S. magazines that opened and closed, between 2009-2015 (from MediaFinder.com). 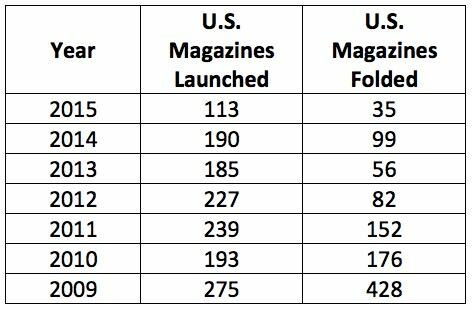 The first thing you notice is that more new magazines launched than folded in the past six years. Obviously, magazine publishers don’t believe the era of print media is over. Newly launched print magazines, have only a 10%-20% chance of surviving and thriving past their first few years. This matches well with my personal freelance writing observations and experiences. Thirty of the 200 print magazines I’ve written for have folded since I began my writing career ten years ago. That’s a failure rate of 15%. This startup magazine failure rate makes the 7,293 magazines currently existing in the American market remarkable. These magazines have survived the test of time, and are obviously still earning a reasonable profit for their publishers. But when we look at the total 2009 magazine losses (428) as a percentage of all consumer magazines existing in the U.S.A (7,293 magazines), the result is a miniscule 0.06%. This is an inconsequential failure rate! The U.K. print magazine market has been harder hit than the U.S. market, for some reason. Total U.K. magazines declined from 2,929 in 2011 to 2,639 in 2016. Nevertheless, that’s only a 10% decline over six years. Print magazine industry experts describe this as normal attrition. And, despite the 10% U.K. failure rate, there are still more than 2,600 U.K. magazines making a go of it! Some of them are even buying my articles! My work has been published in 23 U.K. print magazines, and they generally pay well. Another interesting note: Of the 290 U.K. publications that folded between 2011 and 2016, only seven were travel magazines. Overall, large numbers of print magazines (9,932) are still being published in the U.K. and the U.S. Clearly, there is no evidence to suggest that print magazines are dying off beyond their normal attrition rate. And there is promising evidence of print magazine growth. In my quest for the truth, I uncovered the specific reasons why 1,028 American magazines folded over past 7 years. It turns out that most of the shuttered magazines were in fields directly affected by the Great Recession and the associated U.S. Subprime Mortgage Crisis, from 2008-2012 (from AdAge.com). Because of the recession and real estate collapse, numerous housing and real estate magazines crashed and burned. Magazines in closely related genres, like lifestyle periodicals that focus on home decorating also suffered. If people aren’t buying houses, they aren’t buying these lifestyle magazines either. Many other deceased magazines had sizeable staffs and high operating costs. Their huge and overoptimistic budgets were unsustainable. They couldn’t sell enough advertising and capture enough subscribers. These magazines were already teetering on the brink of failure. Internet competition affected their paid subscriptions and newsstand sales. Advertisers were spending less. The recession pushed them over the edge. Another reason that print magazines have closed their doors is simply too much competition from other print media. There is only a finite market for say, men’s magazines. Any new men’s magazine would face an uphill battle to establish a foothold or market share. Other magazines have folded because digital media provided a greater volume of free, up-to-the-minute information. The demise of many major daily newspapers worldwide is the most dramatic example of this sacking. They didn’t stand a chance against the instant and free news on the Internet. And finally, social celebrity magazines have taken a huge hit. Online social celebrity sites, social media, blogs, and general online snark sites have outgunned print media. 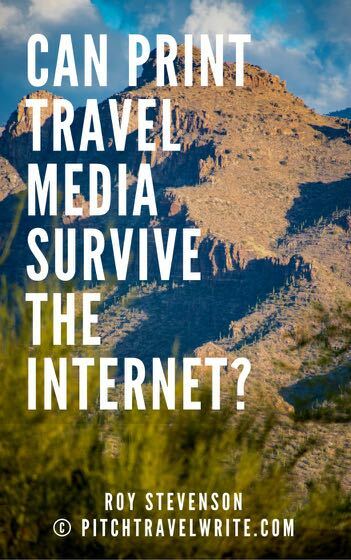 Print’s digital travel media competitors include TripAdvisor.com, Google.com, travel websites, travel blogs, YouTube.com, online forums, Facebook and other social media, and many other digital outlets. These digital outlets continue to grow at a rapid rate. However, it’s become fiercely competitive as everyone and their dog joins the travel blogging party. So the future of print media might not be as rosy as it was pre-internet. However, although challenged by the Internet, it appears that print media will survive and possibly thrive for the foreseeable future. Here's the good news. In the past couple of years there’s been a sizeable number of exciting new travel magazines entering the global travel magazine market: Longstay, Corporate Traveller, Travel Magazine, World Travel, Conde Nast Traveller, Travel America, GlobeRovers, Expat Society, Expat Living, Cape + Kantary, TravelLive, Marco, Gourmet & Cuisine, Foodstylist, Asia Spa, Action Asia, Get Lost, Bon Voyage, to name a few. There are dozens more. For those who think the younger generation is switching entirely to online reading, it turns out millenials also like reading print publications. Although raised on the internet, they love print as much as previous generations. Overall, print readership among 18-34-year-olds has increased dramatically. In fact, many millennials are willing to pay extra for information in print media versus online. More than one fifth of them opt to pay for magazine subscriptions, even when a digital version is cheaper or free. And while we’re talking about millennials, here’s another fact about them that’s heartening for travel writers and destination marketing organizations: most millennials believe that travel is a central part of their life. It’s not just an option. Millennials aren’t just going online to plan their travel. Some of them read books and magazines. Digital travel writing certainly offers many convenient advantages that print media cannot. That’s why most print magazines also offer a digital version. 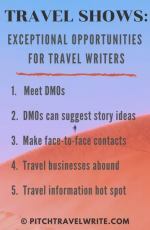 Digital travel writing is still developing and maturing and will continue to do so for many years. But print travel media is far from being spent. The print media road will be rocky. Traditional print publishers will continue to be challenged by the Internet. They’ll need to adapt their business models to survive. Some print magazines will continue to start up and some will vanish. But this has always been the normal ebb and flow of the print media industry. Print media is still an enormous industry! The magazine industry generates $22 billion per year in advertising revenue and subscriptions and newsstand sales. These figures are not to be sneezed at. A total of 373 million magazine units were sold in 2016! So, the print magazine industry is not going to disappear overnight, as many online travel writers and bloggers are claiming. Clearly there’s a big overlap between the digital world and the print world. Most travelers use a combination of print and digital media to get their travel information. For example, Trip Adviser makes it easy to do a hotel search online if you’re interested in reading reviews. Or a travel blog may give you some pointers on the best places to eat in Rome. 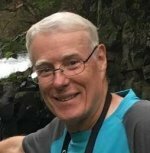 But you’ll get more in-depth, focused information about a place you’re planning to visit from a guidebook or a well-written travel article. There are 7,293 magazines in America and 2,639 in the U.K. - plus thousands more between Canada, Australia, South Africa, and New Zealand. Some of these are “pure” travel magazines. Hundreds of other magazine genres will also publish your travel stories. Be creative and pitch your stories far and wide. Writing for multiple genres makes you more recession proof. If one magazine genre takes a beating during a recession or market shift, you can jump to another genre. By writing for many magazine genres, you can do this quickly and easily. Write for as many magazines as you can. Introduce yourself to new start-up magazines. Look for them on your local magazine rack. Writers who write solely for their regular “gigs” are eventually left high and dry. Many of my friends have found this out the hard way. They’ve had the carpet pulled from under them when their pet outlets folded or went online only. Always be looking for new outlets. Print magazines will continue to pay their writers. And print assignments still carry a lot of weight when requesting complimentary travel assistance. Don’t be complacent. Make pitching part of your daily routine. Keep the pipeline filled with queries so you’ll have regular work coming in. These magazines are screaming out for good content and good writers. The glossies are running leaner with fewer full-time staff. This means they need to utilize more freelancers for their content. Find out which ones are hiring. 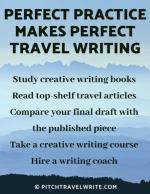 Good travel writing content is king. Travel journalism has always been some of the weakest writing but it doesn’t have to be so. Editors hire writers who produce good content and people will buy magazines with good content. Pitch quality story ideas, turn them into solid travel stories, and you’ll do fine.